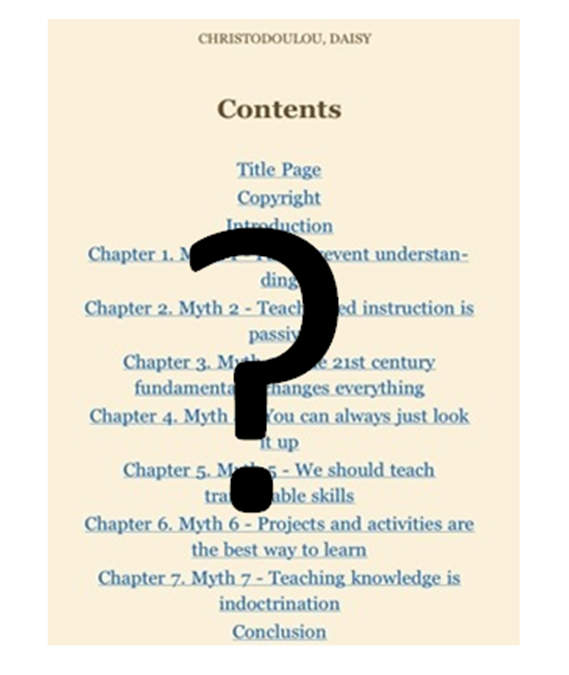 Last year I wrote a review of Daisy Christodoulou’s Seven Myths book. You can read it here. I tweeted out the link to draw Daisy’s attention to it. She didn’t respond or comment at the time. I think it’s a balanced review and plenty of people have reinforced that view. There’s an opening section on all the things I agree with. It’s a blog review so, I’ve taken the liberty of expressing opinions and making a few assertions based on personal experience and analysis. Lots of if doesn’t ring true. That’s how I felt reading it. It’s a legitimate response. Previous Previous post: Has ‘Of Mice and Men’ been banned for GCSE?